On 6 March, a charity concert in support of the Dobrosvet foundation was held at VSU. The City of Voronezh is the best destination for those who are looking for a truly Russian experience. take our new online tour to see VSU at any time, from any location. VSU offers academic programmes at all levels including Bachelor, Master, Graduate and Post-graduate courses, Post-doctoral studies, as well as continued learning. 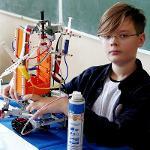 in the fifths festival of robotics ROBOART. 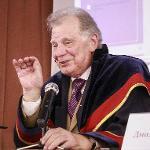 of the first academic university in Russia, an honorary doctor of VSU. 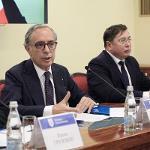 the Ambassador Extraordinary and Plenipotentiary of the Italian Republic to the Russian Federation, Pasquale C. Terracciano, visited Voronezh State University. 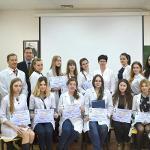 The final of the annual competition of innovation projects by students, prospective students, and residents of the Faculty of Pharmaceutics of Voronezh State University “Pharmacy of the future 2019” was held at the Faculty of Pharmaceutics.